The last few weeks have been very busy for FiBreMoD as we start showing our results at the conferences of this year. From 25 to 28 of June at ECCM18 in Greece and from 4 to 6 of July at ICFC7 in Italy. 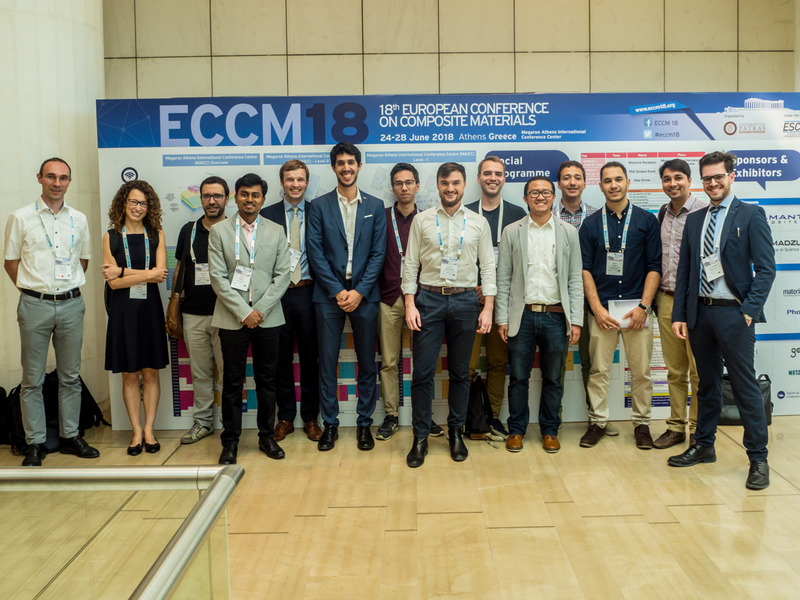 During the week from 25 to 28 of June, 9 out of our 13 ESR’s attended this year’s European Conference on Composite Materials (ECCM18) in Athens, Greece. All through the week, Martinus’ work was exhibited as a poster while the others presented their work at oral presentations. The FiBreMoD logo was well present in all presentations, with all the ERS’s making a joint effort to make our project visible to the attendees. The size of the rooms where our young researchers presented varied in size but it was always well composed, showing the interest of the scientific community in our project. The following week, Luca and Marco attended the Seventh International Conference on Fatigue of Composites (ICFC7), from 4 to 6 of July in Vincenza, Italy. The conference in Vicenza was a lot smaller than ECCM in Athens, but not at all less valid. The conference was about fatigue of composites, a very interesting topic. As the previous week in Athens, there were a lot of participation from industries (especially automotive, but also aeronautics and naval), even in such an academic oriented event. But technicalities apart, one of the best moments was the open table on automotive industry. The legendary engineer Gian Paolo Dallara was present, and Luca had the honour to introduce himself and have a quick chat about his work. For non-Italians, the guy is a 83 years old legend for every Italian in the field of automotive: after working for Ferrari and Lamborghini (he personally met Ferruccio Lamborghini) he founded his own company, which now successfully produces winning Indy cars and even cooperates closely with F1 teams! He even has a page on Wikipedia: check it out! To review the topics presented, keep posted for our publications page at http://www.fibremodproject.eu/publications (check the bottom of the page for the conference publications). 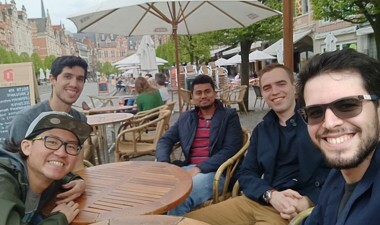 If you are interested in having the take of Francisco on the communication by researcher’s and other blog posts, visit us at http://www.fibremodproject.eu/news-and-blogs. In any case, don’t forget to follow us on twitter (https://twitter.com/FiBreMoD_ETN). 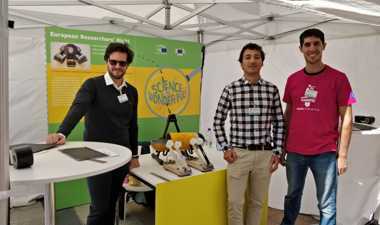 Last week our researchers Fabio, Luca and Francisco were at exposing our project at the Marie Skłodowska-Curie Actions’ organized event: European Researchers Night. Why aren't scientists good communicators? Last week I attended ECCM, the European Conference on Composite Materials, for the first time in my career. This is the largest conference of the year, and so, more than 1000 researchers were there, presenting their work. From the presentations I was able to see, I have to say that the level disappointed me a little. Not because of the content, but the delivery of the message. 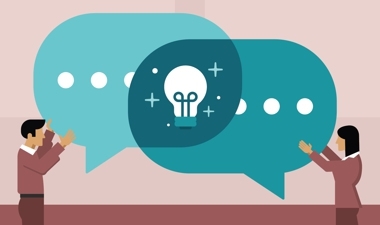 So that made me wonder: why aren’t scientists good communicators? Last week was another exciting week in the lives of the FiBreMoD researchers. Another 6 months have passed and the team reunited once more for the 3rd consortium meeting, taking place at the facilities of Siemens PLM, in Heverlee, Belgium.